The increasing popularity of artificial grass continues to grow as households around the country continue to install it into their yards. It is a once off expense that, in many ways, is the gift of time. Anyone who has ever installed artificial grass will tell you that the extra time they enjoy on weekends through not having to mow, weed or fertilize is a genuine bonus. But what do we know about artificial grass? Where did it come from? What is it made of? Is it a cost-effective solution? And how easy is it to install? There are so many questions to ask and we will try to answer some of them for you. This is a tough question to give a straight answer to. It is the old scenario of how long is a piece of string? With artificial grass the price varies depending on a number of things. For instance, how big is the yard in terms of square meters? Will you do the installation yourself or get somebody in to do it. What sort of foundation do you intend to lay it on top of? And what sort of grass-blade density are you looking for. A great place to start when looking for answers for most things is the internet. 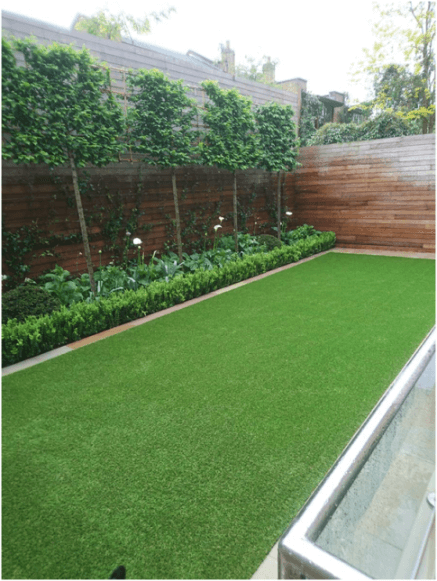 A search for something like ‘artificial grass Melbourne prices‘ will point you in the right direction and help you calculate what you are in for. In terms of working out costs the key here is that it is a once off capital expense that will save you monthly expenses going forward as you will no longer need lawn mower fuel, a gardening service and other associated maintenance costs. Artificial grass was first sold under the name ChemGrass after it was patented in the United States in 1965. One of the earliest successes of the product was at Houston’s Astrodome Stadium where it was laid in 1966. An employee of the company then reportedly started to refer to the grass as AstroTurf and the name stuck. In the same way that items like the Frisbee and the Hoover are actual brand names that have become synonymous with a product, the same now applies to AstroTurf. Artificial grass is a complex combination of a number of substances. The obvious element that is on show to the world are the fake grass blades. Typically, these are made from polypropylene or from nylon. But there is a lot more to the product than the blades themselves, it is the backing that is the most complex part as it holds it all together. In many instances the backing is made from tire chord, a substance that is made from polyester. But other substances can be and are used. Plastic is often used while jute was common for a time as well. Properly laid artificial turf is very tough. We mentioned earlier that it was laid at the Houston Astrodome which is an indication of the type of pounding that it can take. All international field hockey matches are played on artificial grass and many professional sports now make use of either completely artificial grass solutions or composite solutions. The point is that it can stand a real beating. If it can host a football game, it can definitely stand up to the rigours of your back yard.